Halloween is nearly at the doorstep, and consumers across the country are stocking up on candy for eager trick-or-treaters. Unfortunately, leftover treats may cause some people to put on a few pounds before November arrives. As with any other time of the year, there are plenty of ways consumers can burn off those extra calories and get in shape. Three methods that should jump to the top of the list include exercise, dieting, and proper meal preparation. One of the favorite mantras of any gym nut or personal trainer is that if exercise was easy, everyone would be doing it. Unfortunately, dragging yourself outside to take a run, walk around the block, or drive to the gym takes a certain amount of willpower that many consumers find elusive. If you -- like many others -- run on a tight work or home schedule, you might start your fitness journey by finding little ways to burn calories at home or at work. For example, try walking or taking your bike to work (if possible) instead of driving; opt to take the stairs over the elevator; and try to incorporate walking meetings into your workday wherever possible. In some cases, buying fitness equipment that you can keep at home can also be a huge benefit. Taking a half hour in the morning or at night to use a treadmill or elliptical can do wonders for your health and can compensate for a sedentary job or lifestyle. 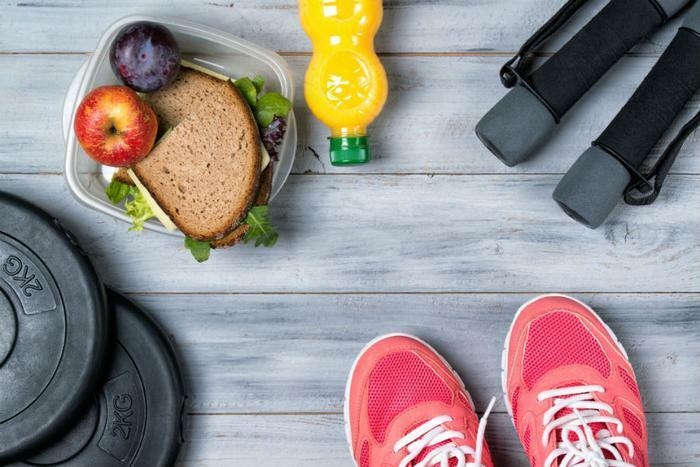 Like exercising, preparing healthy meals takes time; however, replacing unhealthy meals is a must if you want to keep your weight under control. Luckily, there are various options for streamlining better nutrition, whatever your schedule may be. Instead of cooking up big meals that require many ingredients and a lot of time and attention, consumers should make some meals that are quick and easy to put together. For example, whipping up some healthy parfaits made with fresh fruit, yogurt, and granola can be the perfect way to start your day instead of a labor-intensive breakfast. Consumers should also consider frozen foods that pack a nutritional punch, such as organic fruits and vegetables. Lean meats like chicken and turkey are also good options and can be kept frozen until there’s time to cook them up later. Of course, if finding time to go to the grocery store or cook meals is a difficult task, you might consider having meals delivered to you. Meal delivery services like HelloFresh and Personal Trainer Food – as well as weight loss programs like Nutrisystem and Beachbody -- can provide pre-portioned ingredients and meals that make meal preparation and dieting a snap.